Did you know every year there are 300 people killed and 165,000 injured while using ladders? This amounts to about one death and 500 injuries per day. With these statistics it is obvious more focus needs to be on training on the proper use and procedures for working with ladders. 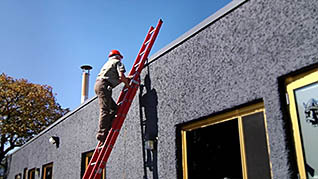 Our new course, “Ladder Safety,” provides such training for use of straight and step ladders. Because ladders add the element of height to the job being performed, it also adds a heightened risk of injury. Even when falling from a relatively low height, horrible injuries are still able to happen. In order to stay safe on the job, it is imperative to not let complacency set-in and break proper safety procedures. 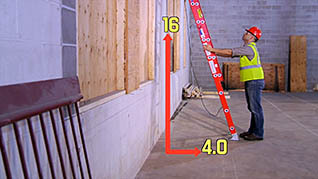 Ladder Safety is available in both Advantage and Video On Demand formats for you to start training immediately. This entry was posted in Product Announcement, Workplace Health and Safety, Workplace Training and tagged ladder safety, ladder safety training, ladder training, online ladder safety training. Bookmark the permalink.